Even by its own high standards, Asus outdid expectations with its Computex presser today. Not only did it announce a completely ridiculous home assistant robot and a thinner-than-a-MacBook laptop, but it also laid claim to having the first aluminum unibody phone free of unsightly antenna lines. Study the square-jawed ZenFone 3 Deluxe as closely as you wish; you won’t find its matte rear disturbed by the practicalities of obtaining a wireless signal. Asus has somehow worked around the iPhone’s most glaring aesthetic shortcoming, beating competitors like HTC, Huawei, and Meizu in producing a “full-metal” phone with completely discreet antennas. LG might dispute that claim with its G5 and its disguised antennas, but the G5 has a detachable bottom that really detracts from the notion of a unibody device. Alongside the 5.7-inch Deluxe, Asus today also unveiled the 6.8-inch ZenFone 3 Ultra, which resides firmly in phablet territory while also matching the invisible antenna design. Both devices have 1080p displays and an enviable 79 percent screen-to-body ratio, so Asus has truly done its utmost in terms of design measurables. That said, the capacitive Android keys aren’t going to be to everyone’s liking. The larger Ultra has a Home button with a fingerprint sensor built in at the front, which sits somewhat awkwardly next to the bottom edge of the phablet. The ZenFone 3 Deluxe puts the fingerprint sensor on the rear, as it is with Google’s latest Nexuses, and also distinguishes itself from its larger sibling with a much better spec sheet. The ZenFone 3 Deluxe is powered by a Snapdragon 820 processor with Adreno 530 graphics and joins the growing list of Android smartphones offered with up to 6GB of RAM. One amusing aspect about this new Android flagship? 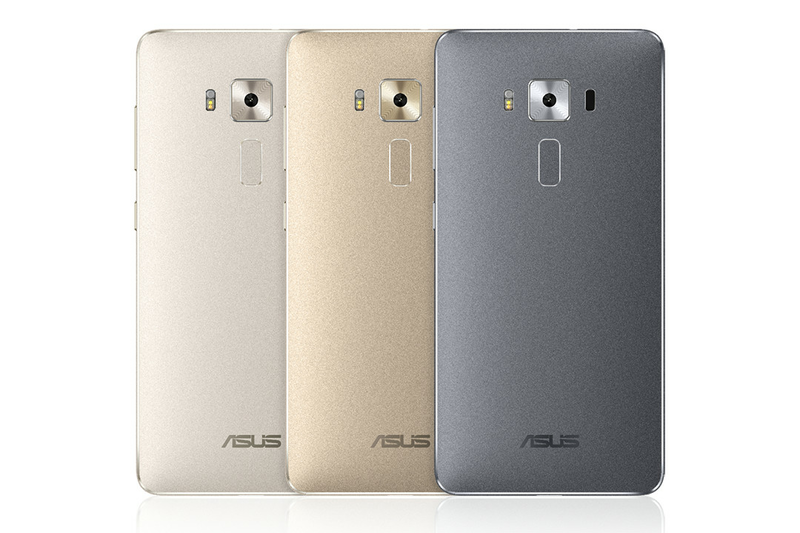 Asus’ lofty and lengthy press release fails to mention the Android operating system even once, in spite of detailing three models — the Deluxe, the Ultra, and the regular ZenFone 3 — in its multi-paragraph exposition. While it’s true that Android has reached a very high degree of universality, it might still have been nice to explicitly confirm that the new ZenFones run the latest version.